Remember the book that you bought? The one that grabbed the attention of your eyes, the one that you wanted to read so badly that you actually paid for it? You took that book home and you placed it proudly on your bookshelf. You intended to read it and learn from it in your free time. Your only problem, though, is that you never actually sat down to read your book as you were always running around getting the ‘important stuff’ done. You may be one of the many people who enjoys reading but you never find the right time to satisfy your thirst for knowledge, or maybe you’re one of the many who would want to read but you find yourself feeling discouraged by the thickness of the book. 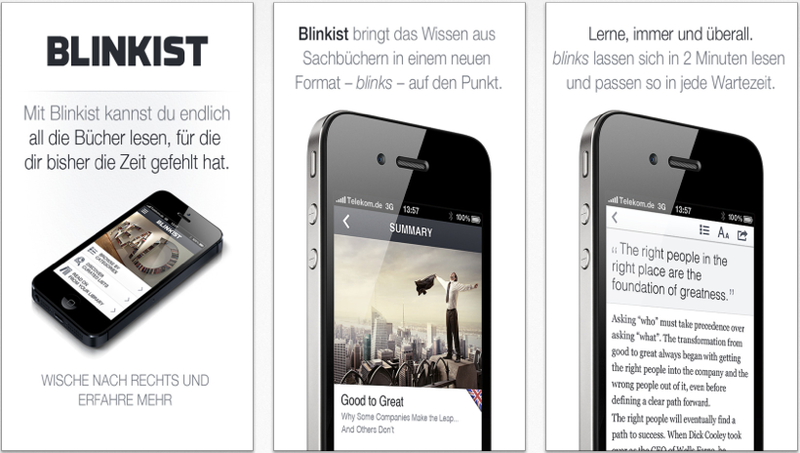 Well, the Germans have created an app called Blinkist that is aimed to solve issues concerning both groups. One of the first things that you need to know about Blinkist is that it works on a subscription basis. You can choose the one year subscription for which you would have to shell out USD$ 4.17 per month. Before you do, however, you can test Blinkist out for yourself. The trial subscription lasts for about 6 days, within which you would be able to figure out if the subscription is worthwhile. I would suggest that you only pay for it if you know you are going to use the app everyday for at least 15 minutes, which is the time you would need to finish a book with Blinkist. And no, that was not a typo. When you log into Blinkist, you get to “discover” a large collection of interesting books (make sure you’re online) that you could read and learn from. These books are curated from different categories like politics, self – help, health & fitness, science, business and entrepreneurship. Each of these books is broken down into what’s known as “blinks” and each blink can be read within 2 minutes. 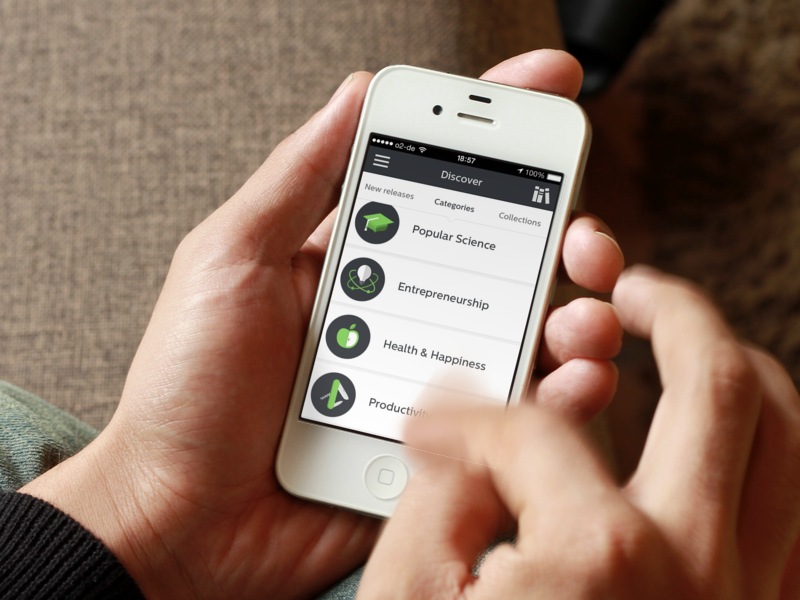 You will find the simplicity of the app useful as you skim through the different categories of books. Blinkist also provides you with a short summary of the book under each title. When you find a book that interests you, you can go ahead and add it to your library. Simplicity is at the core of the app and you shouldn’t have any problem finding your way around the app. The app has a clean interface that divides the books that you would like to read and the books that you have completed. Each book begins with an “introductory” blink that lets you know about the intended target audience of the book, what it is about, the approximate time you are likely to take to read it and the key insights it provides. Your reading would begin with a “what’s in it for me?” blink that lets you mentally prepare for your reading session and it ends with a blink that provides the key message of the book, actionable advice and suggestions about books that are related to the genre. I found this to be a much-needed feature as it cements the key ideas in your mind and it also forces you to take the first step in applying the “knowledge” in a practical situation. The Blinkist library is not based on algorithms that mechanically try to understand the books key insights. Every book is hand picked and written by experts – pure human brainpower with a passion for explaining complex matters with simple and beautiful language. In all honesty, I love this app. It is one of the few apps that I don’t mind paying for and it is the one that I am on during my long trips to university. The beauty of this app lies in its simplicity, from its interface all the way down to each word that you read in each individual blink. Please don’t think that using this app would make you an “expert” at anything. It only provides you with simple summaries that are sure to inspire you to read further. You can even use this app as a way to remember what you have read before. 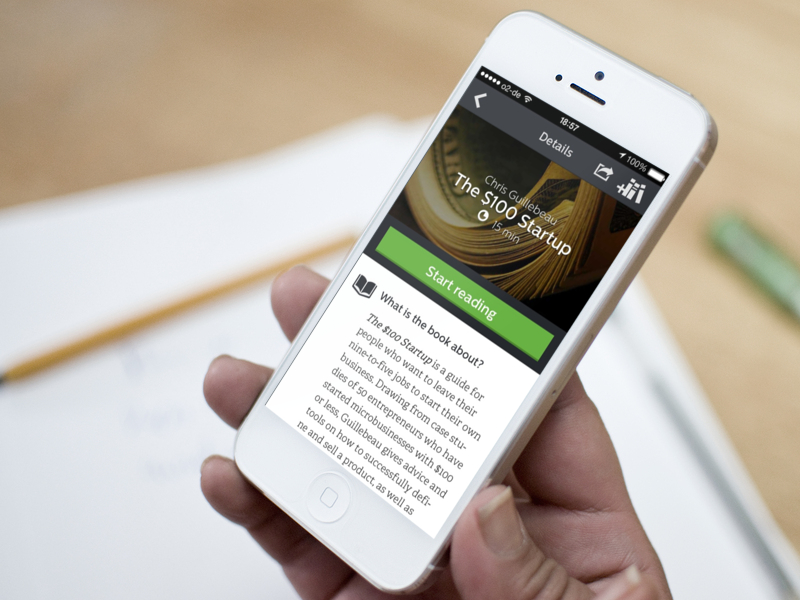 It is the app that you’ve needed to spice up what could be a potential habit of reading.